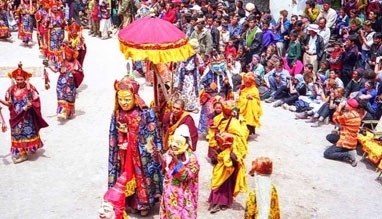 The fete of Oracles held in Stok is commonly known as Zanskar (KarshaGustor). 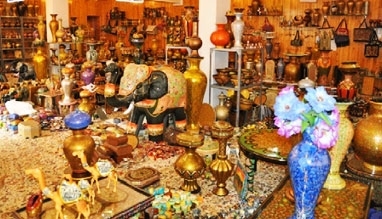 Presently Stok is a Royal Residence. At the Zanskar (KarshaGustor) it is the layman who predicts the future instead of reputed soothsayers, who are commonly recognized for this job. The layman is spiritually cleansed by the Lamas after a formal selection, and is prepared for receiving the spirit of the Holy Deity. 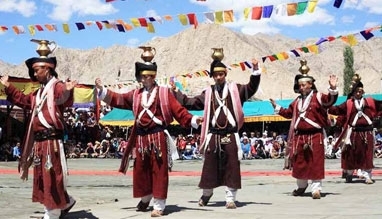 During the Zanskar (Karsha Gustor), a Black Hat Dance is performed. The significance of this dance is to ward off the evil forces and to establish the victory of good over the evil. This is also a masked dance, much like Chhams. 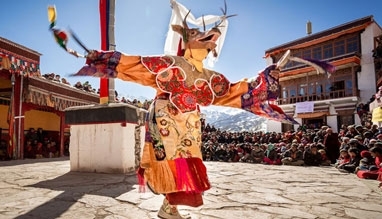 Held in January the Zanskar (Karsha Gustor) is a famous festival of the Buddhists. 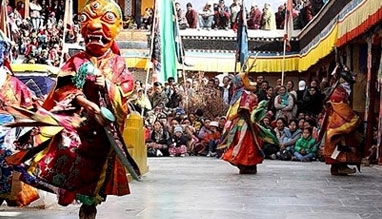 Zanskar (KarshaGustor) is commonly known as the Spitok Gutor Zanskar Festival. 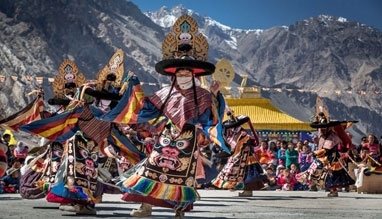 The significant event during the Zanskar (KarshaGustor) Festival is the spectacular Black Hat Dance performed in the Monasteries. 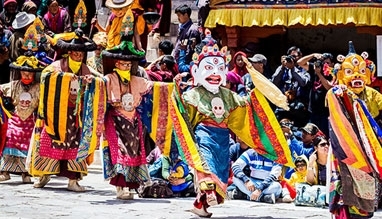 This is a Masked Dance that is performed by the Monks of the Geluk-pa order because the Zanskar (KarshaGustor) Festival is typical to that order. 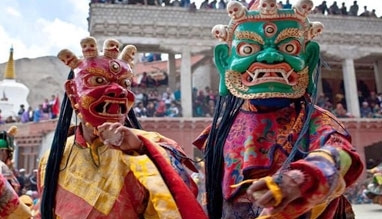 The masked Hat Dancers symbolizes the guardian divinities (Dharmapalas), and the benefactors of the Geluk-pa order. Actually, Masked Dances are part and parcel of the Buddhist scriptures. 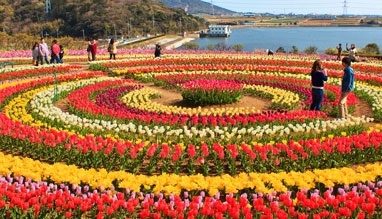 These dances were especially performed to ward off the evil forces and dates back to the historic times when Buddhist manuscripts were first written. 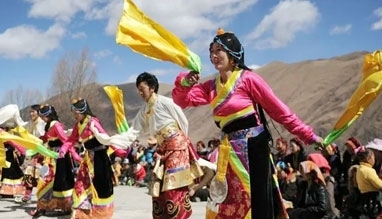 The Zanskar (KarshaGustor) Festival continues for 2 days in places such as Spitok, Karsha (Zanskar) and Thiksay. The festival culminates with the dismemberment of the sacrificial cake. This is also known as the Storma. 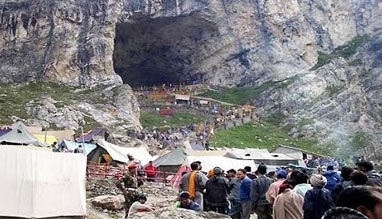 The concluding part of the Black Hat Dance during the Zanskar (Karsha Gustor) is killing of the evil force by the leader of the dancers, which is known as Argham. 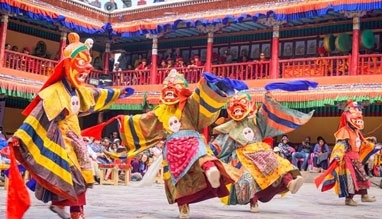 The main feature of this dance is the re-enactment of the assassination of the Tibetan renegade, King Lang-dar-ma, by a Buddhist Monk. The king was said to be a traitor who lived in mid 9th century, and caused a lot of harm to the state. Effigy of the evil forces is burnt at the end of the festival. 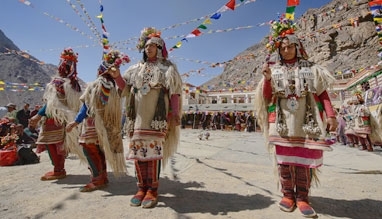 The Zanskar (KarshaGustor) Festival is held in January.